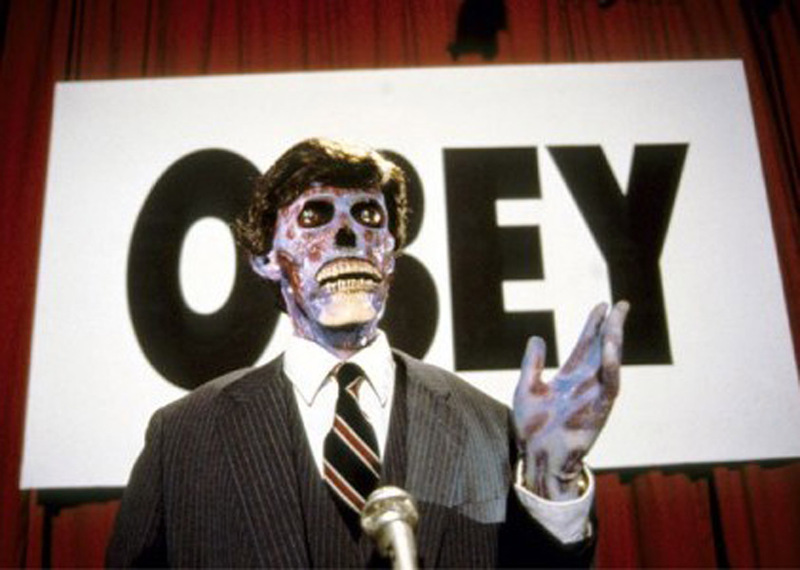 They Live is a 1988 film by John Carpenter. A homeless drifter finds a temporary construction job while living at a homeless encampment. During that time he discovers that an alien race has infiltrated every aspect of human society. The aliens transmit subliminal messages to the humans in almost every form. Nada puts on sunglasses to reveal the subliminal messages being forced onto humans by the alien invaders. The film is a cult classic for multiple reasons, including a nearly six minute fist fight, which was even parodied between Timmy and Jimmy in South Park. Shepard Fairey further popularized the film with his clothing line by using one of the subliminal messages from the film for the name of his company, OBEY. While visually striking, it is the meaning of the film that is relevant today. 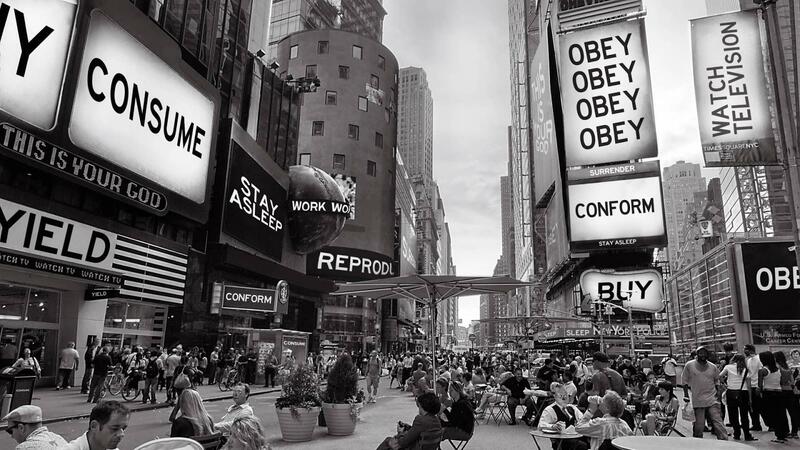 Shepard Fairey created the image with They Live (and other influences) in mind. While battling the alien invaders, the main characters struggle with helping others realize the truth. Even with glasses that allow the wearer to literally see the hidden alien influence (albeit without color), nobody will move from their predetermined beliefs. The similar struggle is happening today. The world feels divided and unwilling to compromise. That similarity is fueling the interest in They Live. No other announcements regarding They Live have officially been made. It is possible that Carpenter is just fishing for studios to reinforce his legacy in the film industry. However, many of his films are being remade, i.e. Halloween, Big Trouble In Little China, and even rumors of Escape From New York and Prince Of Darkness. A politician is exposed during a political campaign speech to a large televised audience. Could John Carpenter films have a resurgence in Hollywood in the same fashion that Stephen King is currently? 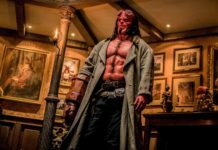 Are these all just rumors of possible movies that will never be green lit? Let us know what you think in the comments.